Dr. Sc. 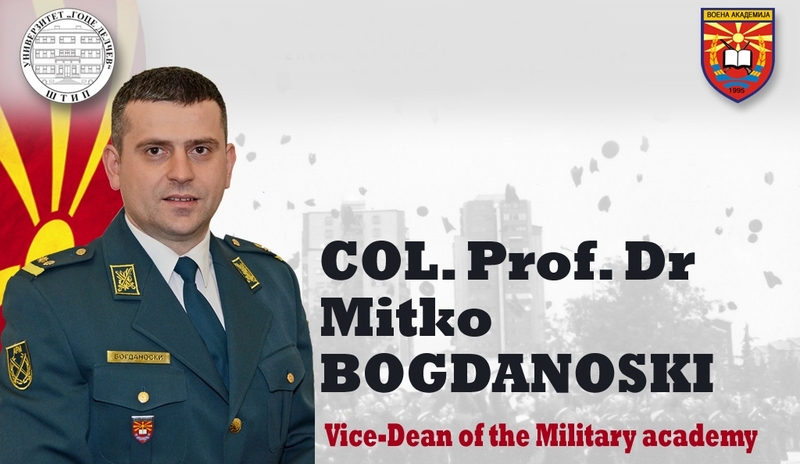 Mitko BOGDANOSKI is an associate professor at the Military academy in Skopje, and visiting professor at several other universities as well as lieutenant colonel in the Macedonian army. Dr. Sc. Bogdanoski received his B.Sc. degree in the area of Telecommunications (signals) from the Military Academy, Skopje, Macedonia, and M.Sc. and Ph.D. degree from the Faculty of Electrical Engineering and Information Technologies (Department of Telecommunication), Ss Cyril and Methodius University, Skopje, Macedonia, in 2000, 2006 and 2012 respectively. His research interests include Cyber (Network and Systems) security, Hybrid threats, Networking, Wireless and Mobile Networks, MANET, WSN (Wireless Sensor Networks), Energy Efficiency and Communication Theory. He is an author/editor of 3 books, several book chapters published by several international publishers, and author of more than 70 papers published in reputable international journals/conference proceedings. 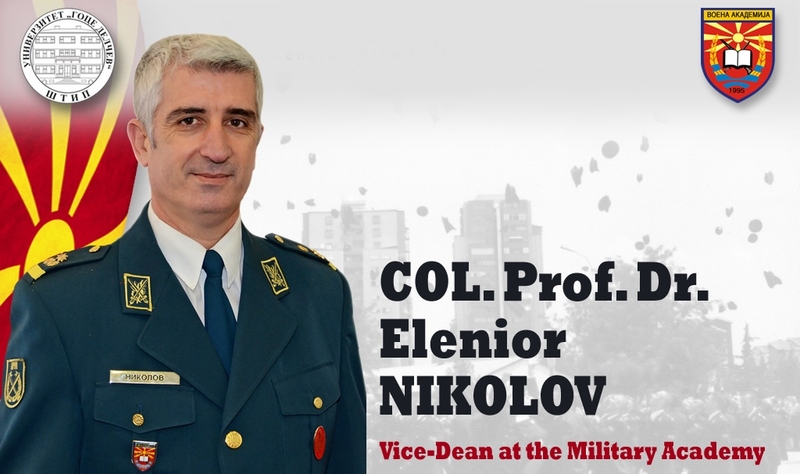 In the period July 2000 – September 2010, Dr. Bogdanoski was employed at the Electronic Surveillance Center in the Army of the Republic of Macedonia, where he performed several duties: Platoon Commander, Company Commander, Chief of S-3 and Deputy Commander. Dr. Sc. Bogdanoski is Senior Member of IEEE Organization, and Member of AFCEA; IEEE Communications Society; IEEE Computer Society; IEEE Computer Society Technical Committee on Security and Privacy; IEEE Cybersecurity Society; IEEE Cloud Computing Community; IEEE Internet of Things Community; RFID, IEEE Technical Committee; IEEE Smart Grid Community. He is honorary member of eSigurnost association and member of several communities and associations as well as co-founder of the “Cyber security, Corporate Security and Crisis Management Initiative-C3I Macedonia”. Dr. Sc. Bogdanoski is an editorial board member of several reputable international journals, as well as program committee member of several international conferences. Dr. Sc. Bogdanoski has organized/coordinated or participated as a keynote and invited lecturer/speaker on several advanced training courses and advance research workshops, most of them in the area of cyber security and digital forensics. 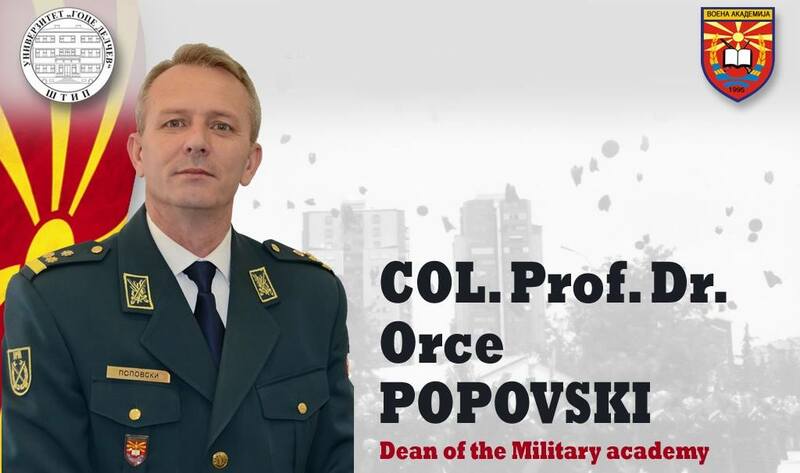 He is continuously engaged as a Cyber Security expert and or co-organizer of the activities organized by the NATO Centre of Excellence Defence against Terrorism in Ankara, Turkey, and RACVIAC Center for Security Cooperation in Croatia. He also managed/participated on several multiyear projects related to the area of his expertise.